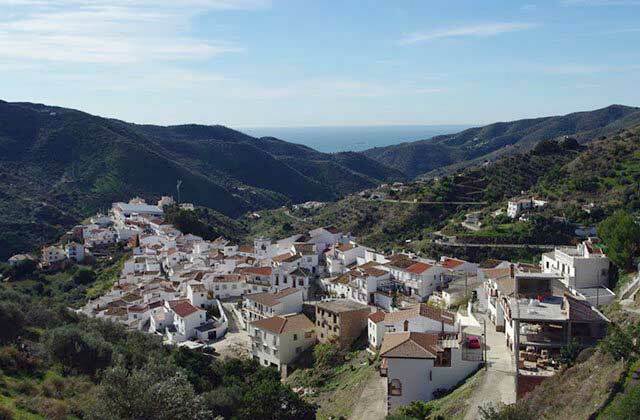 A small village located between the Malaga Mountains and the Axarquia region whose landscape is more typical of the latter. Totalan’s main point of interest is the attractive way in which the village blends in with its surroundings. Very little information exists about this village. When the Axaquia region was conquered by the Catholic Monarchs, Totalan was a farm belonging to Malaga. The area which lies between Totalan, El Borge and Moclinejo was the scene of one of the most significant events of the 15th century in the long struggle between the Christians and Moslems which preceded the disappearance of the Nazari kingdom of Granada: in March 1483, troops from Castile led by the Marquis of Cadiz were defeated by El Zagal’s army when the Christians were on their way to conquer Malaga. One of the most serious setbacks suffered by the local population in more recent times was the appearance of a phylloxera-induced plague in 1875 which, in next to no time, ruined the village’s economy, primarily based on vine cultivation.